It is said that the dish is named after the Russian Stroganoff (sometimes written Stroganov) family, the members of which were involved in the settlement of Siberia. 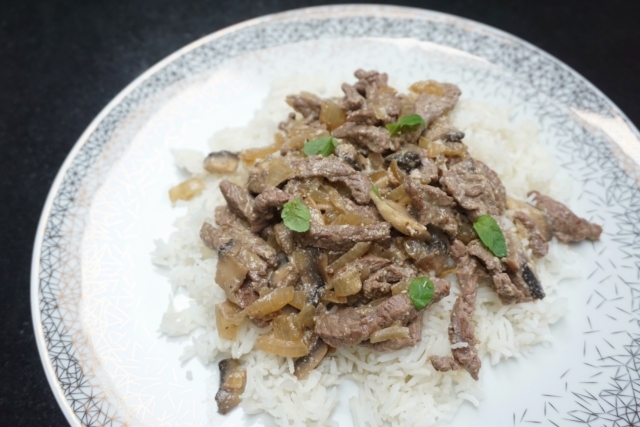 According to a brief historic exploration by bon appétit writer Mike Lew, Count Pavel Stroganoff’s (1774–1817) French/Russian split in terms of his upbringing is what led to the invention of the dish. Since Count Pavel’s family had become part of a “Europe-hopping Russian aristocracy,” it comes as no surprise that he was, in fact, born in Paris. But, as so often is the case with immigration, he neither ended up in a Russian bubble, nor was completely absorbed by French culture. 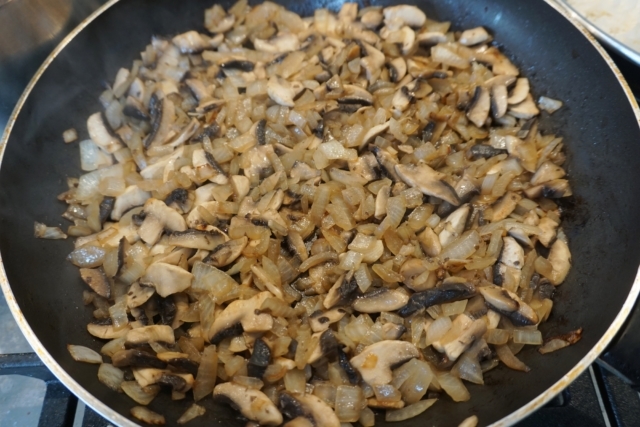 Rather, the family hired French chefs, requesting certain ingredients or flavours commonly had in Russian cuisine. 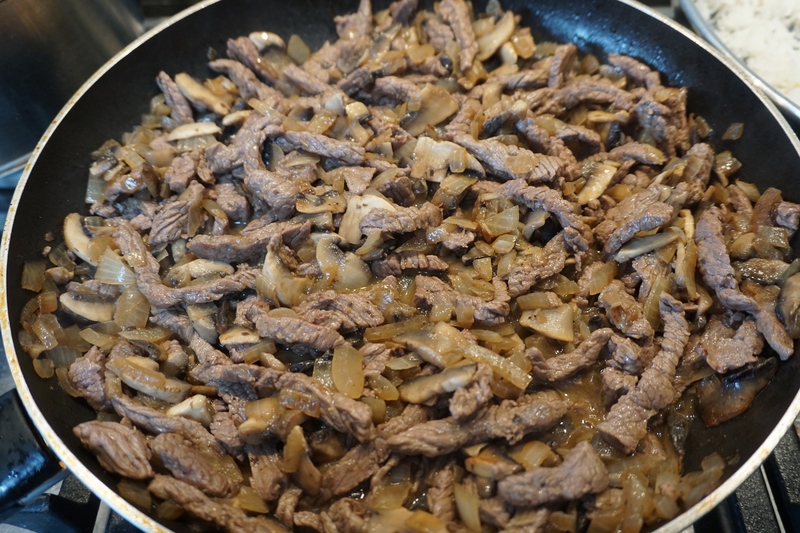 Thus the beef was originally seasoned with a French type of mustard, but sour cream was added as commonly done with Russian dishes. The chef named this new concoction after his benefactor. Given that the French chefs were not cooking for Pavel alone, they might have just as easily named it after any other family member, but who doesn’t enjoy a story with a central character? After all, a lot of historic accounts, whether oral or written, have the potential to be miscommunicated, misinterpreted, lost, or not even found. In all likelihood however, the dish will have originated in the kitchens of the Stroganoff family, a family which has its origins in the fourteenth century and to which now a foundation is dedicated: the Stroganoff Foundation in New York. 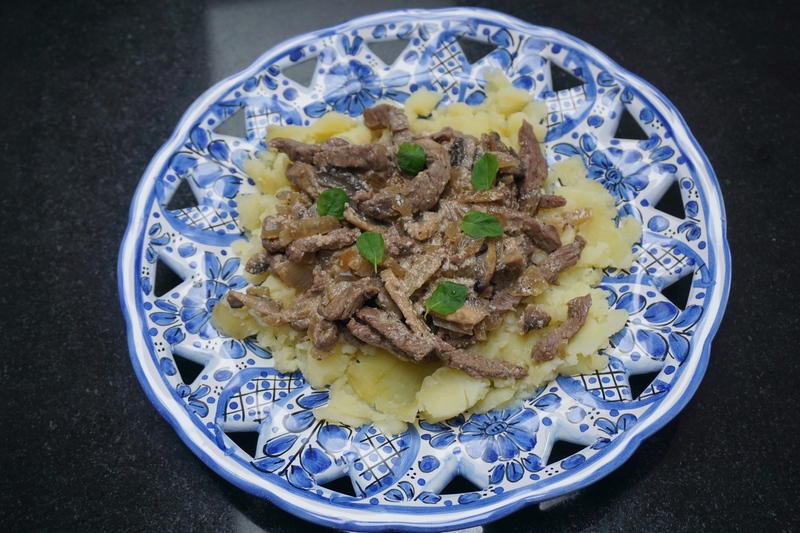 Having been created in circumstances of cultural amalgamation, the dish continued to spark inspiration in other countries and is surely still continuing to do so today. 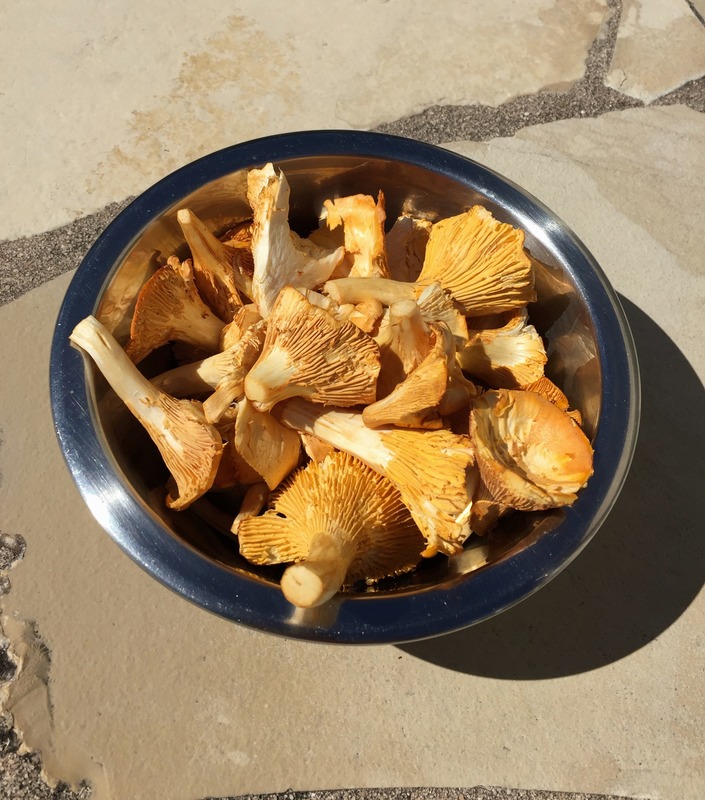 There are versions with paprika, veal stew and white wine (France), with chicken or shrimps (Brazil), or with sausage (Sweden and Finland). You can read about the Swedish Falukorv version here. 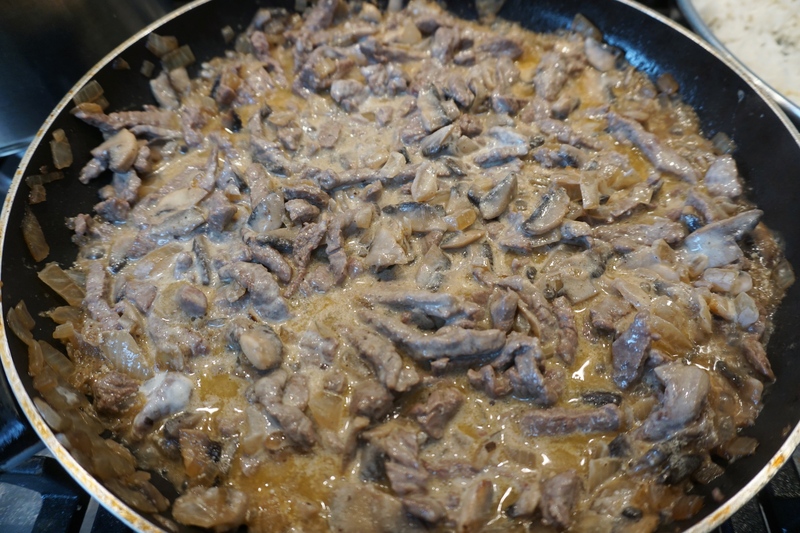 In this post, I’d like to introduce you to a family Stroganoff recipe with the more traditional beef fillet, mushroom and sour cream ingredients. 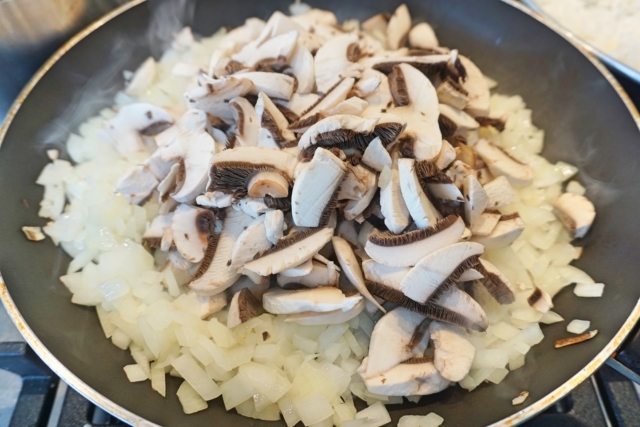 1) Heat some margarine in a pan, then add the onions and let them sauté until translucent. Add the mushrooms and fry. 2) Heat some more margarine in a separate pan, add the beef and fry only until cooked. 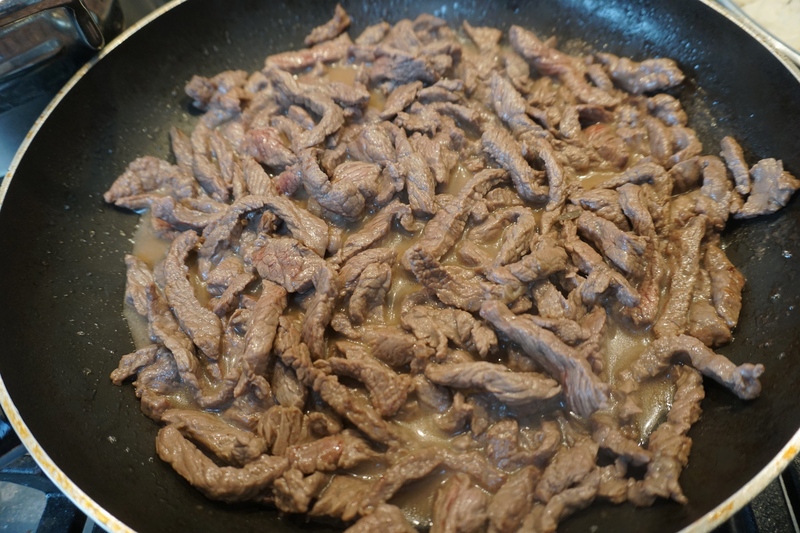 The heat should be high enough for the beef to cook quickly, but not so high as to burn the margarine. 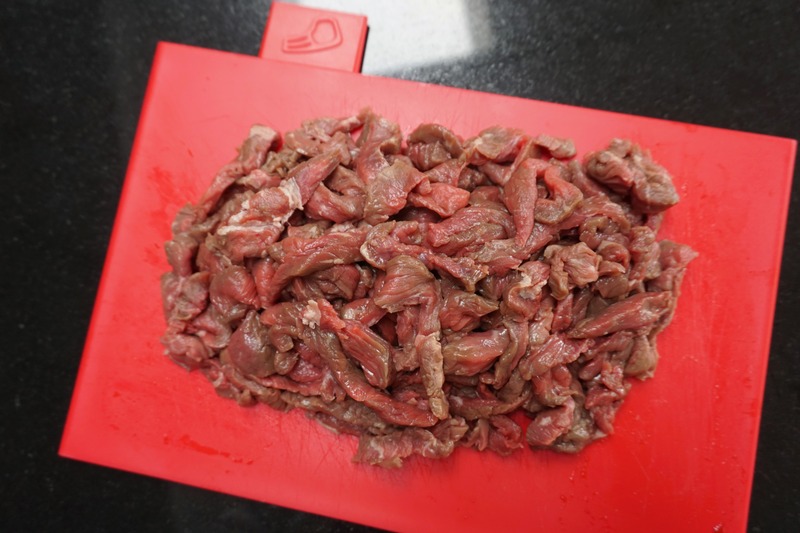 3) Add the other pan’s content to the one with beef. 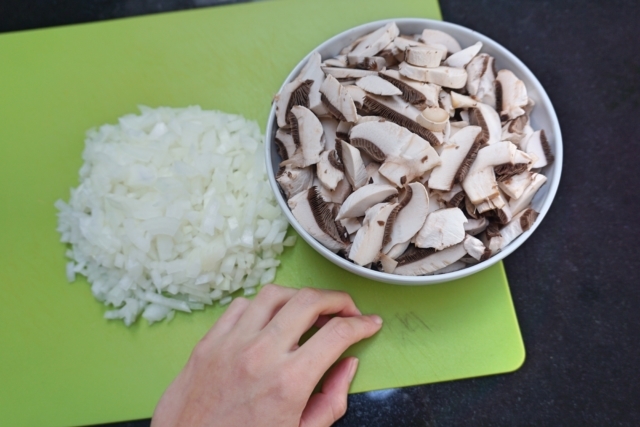 Remove from heat and season with salt, pepper, nutmeg and tabasco. 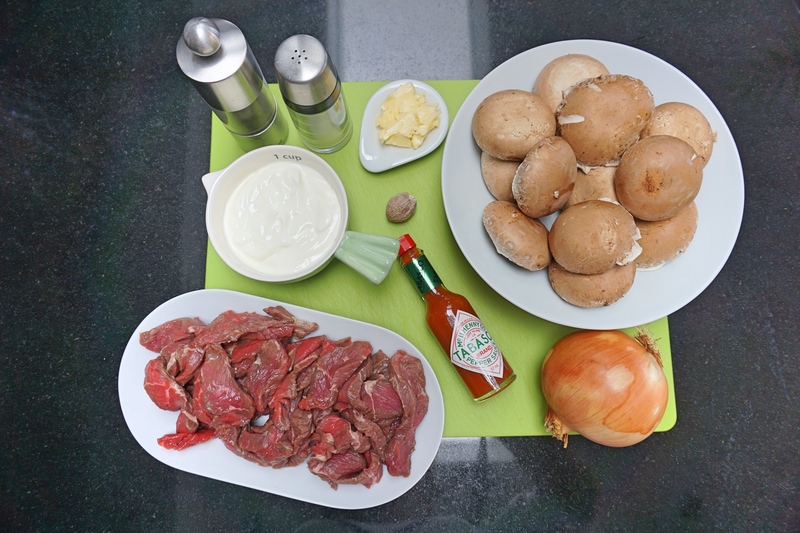 4) Add the sour cream, mix well, and reheat shortly over a medium flame (make sure not to let it boil again or the sour cream will curdle). Serve with potatoes, rice or noodles. Goes well with a green salad.